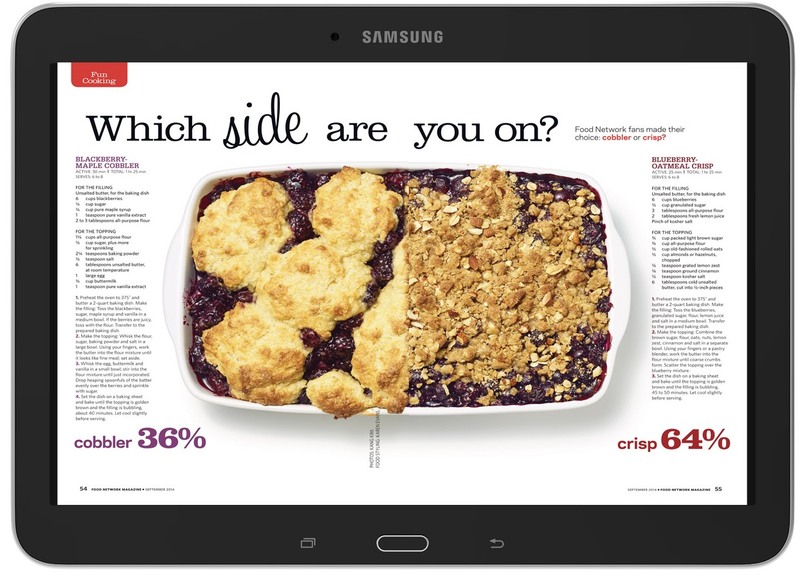 Almost two months to the day since Barnes & Noble launched its Samsung-developed 7-inch Galaxy Tab 4 Nook tablet, a new larger-screen incarnation has now been unveiled. Launching at what it calls a ‘special introductory price’ of $299.99, the tablet is available from today in more than 650 Barnes & Noble bookstores across the US, as well as online through Barnes & Noble and nook.com. It’s pretty much on feature-parity with its smaller form-factored predecessor, but weighs in at 17.28 ounces (about double that of its first device). It sports a 3MP rear-facing camera and a 1.3MP front-facing incarnation, which won’t win any awards, and a 1200×800 (149ppi) HD screen. But it has been given a storage boost, with 16GB now available compared to just 8GB of the previous version. As before, you can extend this up to 64GB with a microSD card. 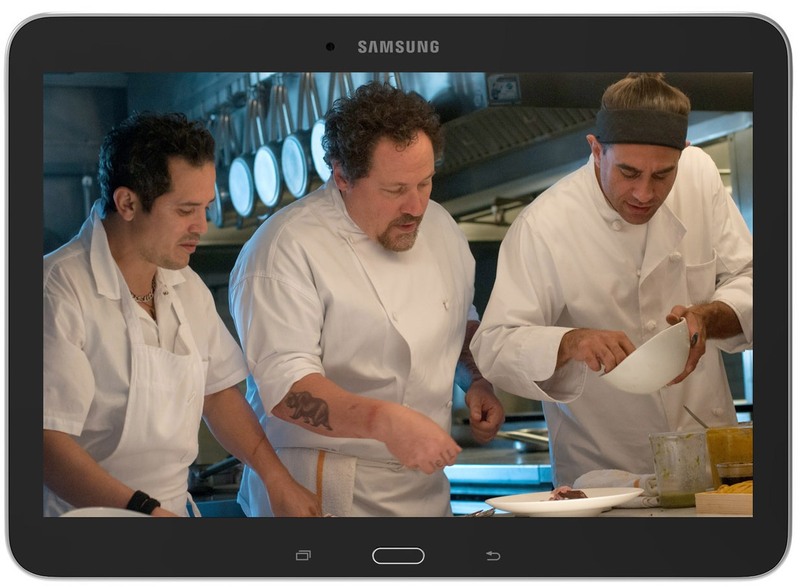 While the 7-inch Samsung Galaxy Tab 4 Nook was available in black or white, the larger model is only available in black. 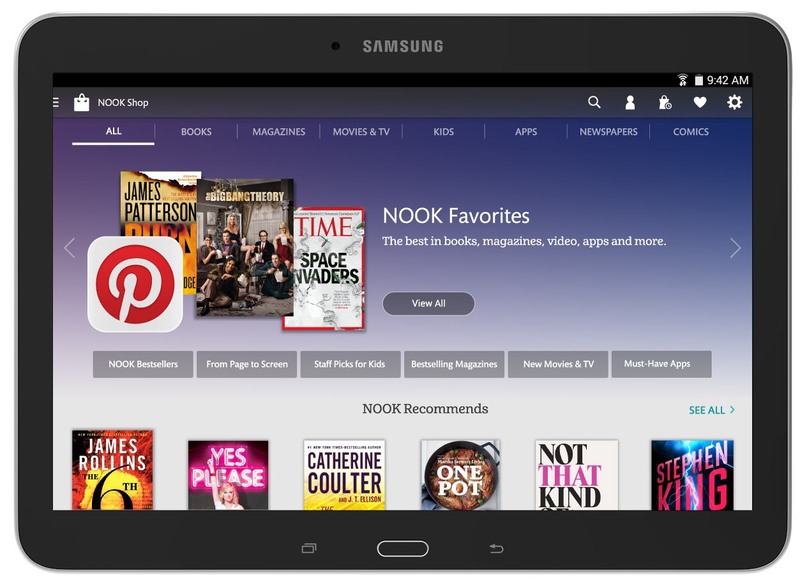 The US book giant announced it was no longer making its own Nook tablets last year, electing to rely on partners such as Samsung instead. 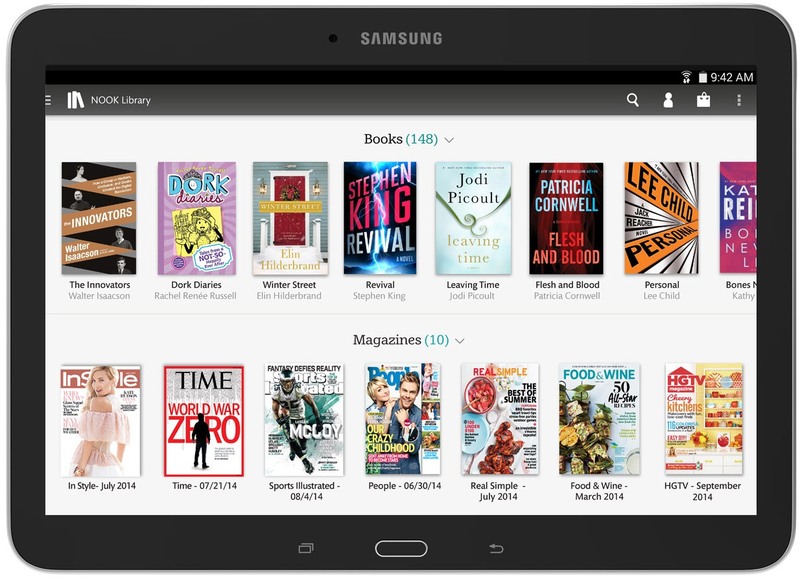 Though it will continue to build its own dedicated e-readers in-house.